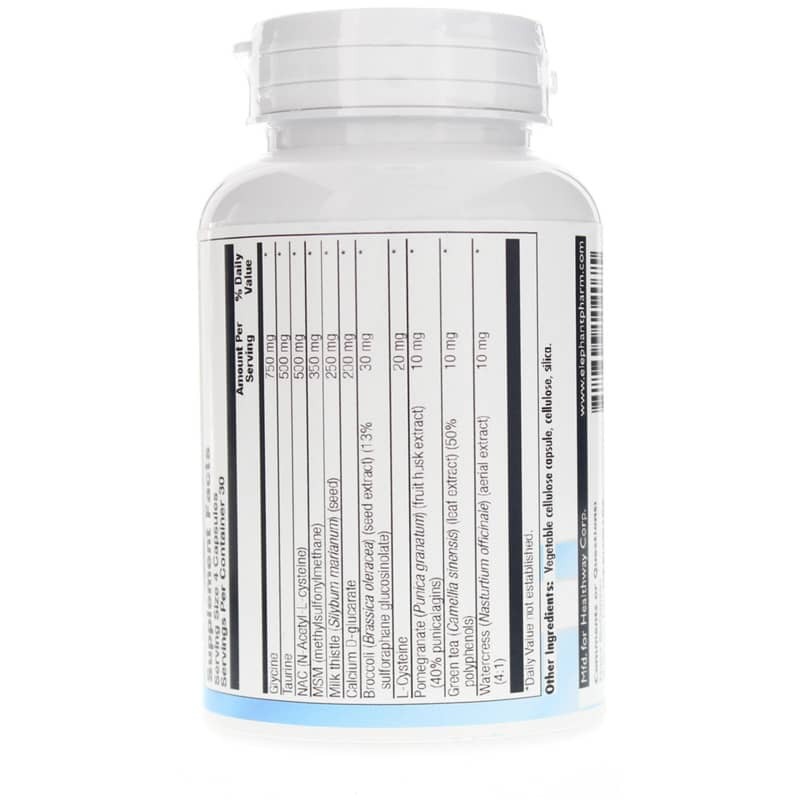 In addition to BioCleanse functional food powder, BioGenesis offers BioCleanse capsules, which can be used when a more intense cleansing is desired. In a powdered beverage, there is a limit to the amount of phase 1 and phase 2 detoxification support nutrients and specialty nutrients that can be included in a product and still produce a palatable beverage that patients will consume. BioGenesis has overcome this objection by producing a complementary product - BioCleanse capsules, in which only the specialty nutrients are included. BioCleanse capsules can assist in more effective neutralization and removal of metabolic waste products, heavy metals, solvents, and any number of chemical toxins. 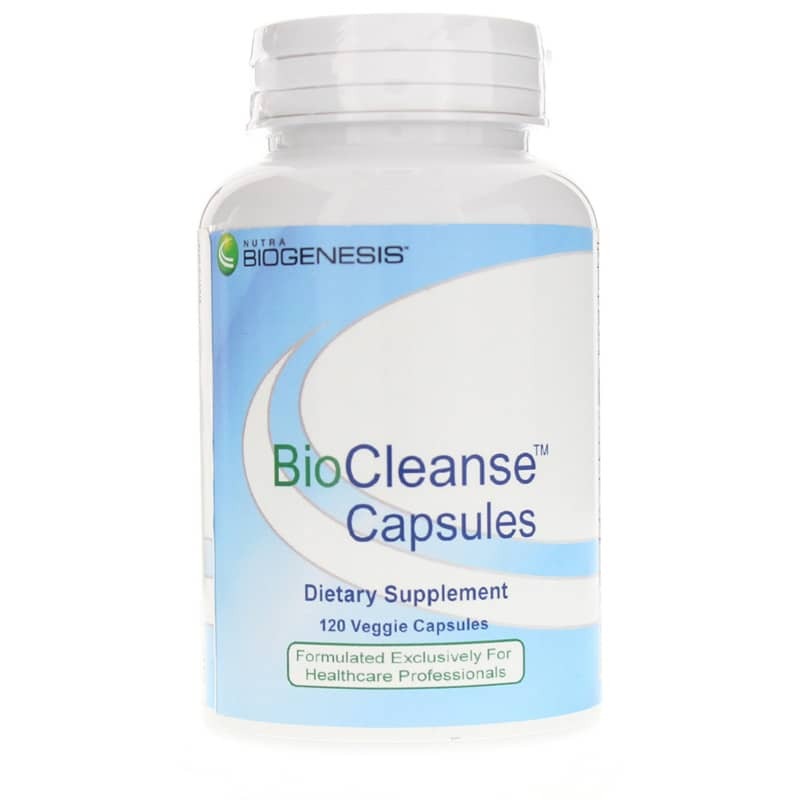 If a stronger cleansing is desired, use BioCleanse capsules along with BioCleanse functional food powder and the BioCleanse diet. N-Acetyl L-Cysteine (NAC) acts as an antioxidant by promoting the production of glutathione, a detoxification molecule. 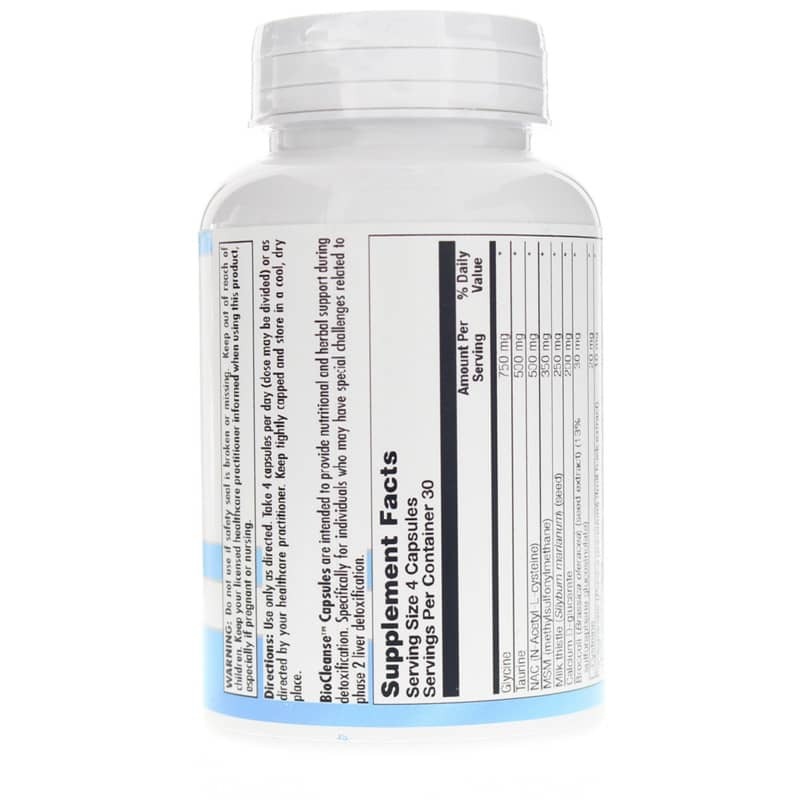 NAC protects against lipid hydroperoxidases and hydrogen peroxide. Taurine assists the liver in Phase 2 detoxification by contributing to conjugation and xenobiotic compounds. This role of Taurine is essential in neutralization and clearance of toxins. L-Cysteine and Methylsulfonylethane (MSM) supply additional organic sulfur for sulfoxidation support and as a source of additional inorganic sulfur production. Calcium D-Glucarate supports the process by which healthy cells remove waste and foreign elements. Silymarin has been shown to increase glutathione and superoxide dismutase levels. Silymarin provides support for protecting the liver from free radical damage and enhances repair and regeneration of liver cells. Adults: Use only as directed. Take 4 capsules per day (dose may be divided) or as directed by your healthcare practitioner. Not intended for pregnant or lactating women. Keep out of the reach of children. I felt improvement from this within a week! I have been on it for three months now. I will not go without this product!